Not only are UPVC Door locks complicated locking mechanisms requiring precise installation, there are literally over 400 sizes and types of multipoint locks that can be used in UPVC/Double Glazed doors and composite doors. At Kingdom Keys, we specialise in UPVC Door Locks. 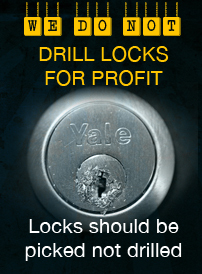 With so many different sizes and types you need a locksmith that knows their locks. We provide solutions to fix your UPVC door lock problems more quickly, efficiently and at the most honest prices of any local locksmith. Where a UPVC Door lock has completely failed to open with its key, we have a 100% track record for fixing faulty door mechanisms in a single call out and that is because we are one of the biggest, if not THE biggest, mobile carries of Multipoint locks. These lock types fit inside the edge of the door. The Lock is a strip running from top to bottom along the edge of the door which has been morticed down the side in the door. When the handle is lifted up on either side of the door, all the locking points on the edge engage into the keeps located on the side of the door frame. The key is then turned 360 degrees to be dead locked. Some models have a key wind action that allows the key to rotate 720 degrees to aid the lock bolts or hooks to wind in, out or up & down along the locking strip on the door lock edge. This type of key wind lock has a non-moving pull pad style handle on the outside of the door & on the inside a handle to push down to be able to exit. The key will not fit inside the lock & will not turn. The door has dropped and started catching on to the frame. It is difficult to lift the handle up or turn the key to lock the door. The door unlocks, but you cannot get the key out. The handles become floppy or will not spring back up to their 90 degrees position. The mechanism unlocks but the door fails to open. The key will not fully rotate round to allow for the handle to be pulled down. The key just spins around and around in the lock. The handles or letterbox is broken. Having Problems with UPVc Locks? UPVC doors and windows have become the standard for newly built homes and the ease of maintenance and economic sense has made them a key upgrade on older properties. With this comes new problems as the locks can be complex and varied and in most cases, need expert attendance when they go wrong. 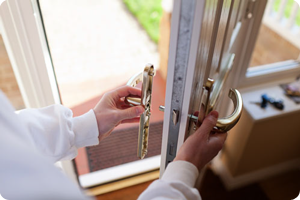 At Kingdom Keys Locksmiths Services we pride ourselves in helping our customers who experience issues and problems with their UPVc locks, whether it is on windows, doors or patio doors. What can go wrong with UPVc Locks?? We are having difficulty locking our backdoor. When you put the handle up it is difficult to turn the key. The key will not go in the lock all the way , it feels like something is inside it. The front door will not stay closed as it’s shut. The key will not come out when we try to lock the door. The key works on one side but not on the other. The door handle won’t lift up or is hard to lift up. The door handle will only work the lock on one side now and not on both sides like is used to do. The key keeps spinning around in the lock, I can hear it clicking but the door will still not open/unlock. 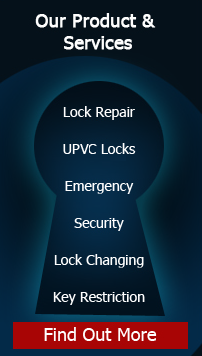 If you are experiencing any of these issues or indeed some different ones associated to the proper operation of your UPVc locks, call us at Kingdom Keys Locksmith services where we are always happy to help with a prompt and friendly service. Call us on the number above or use the form below or the contact us page.